Hostility continues to rife Nepali media; safety net still a priority - Integration Through Media ....! Krishna Sapkota,KATHMANDU: Nepali media continued to face assault, harassment and intimidation in the year 2017-18, reveals a report. The status of press freedom is deteriorating with the rise in the spate of anti-press freedom incidents during the period from May 2017 to April 2018. 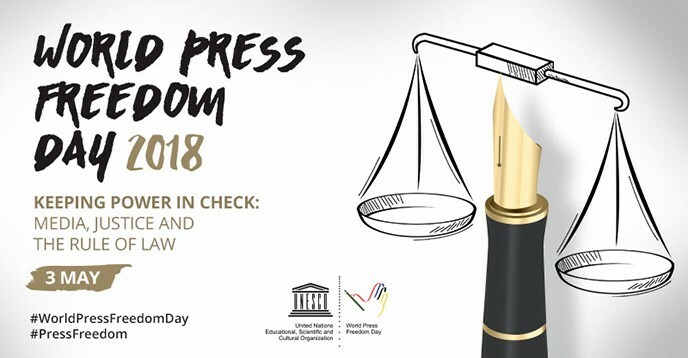 Over 200 media persons were affected with a total of 66 sporadic incidents of press freedom violations this year, which is more than double the previous year, stated the Annual Press Freedom Report prepared by Freedom Forum – a CSO working on media policy and freedom. There were only 29 incidents of press freedom violation in the year 2016-17, the report reads. According to the report, “The election campaigns coupled with skirmishes among cadres of different political parties and between the political cadres and security persons led to the intimidation to the media freedom”. Categorically, there were 27 cases of assault/manhandling, followed by 16 obstructions; 14 death threats, and 8 arrests. Among all, Province-3 recorded the highest number of violations (29), where Kathmandu district alone witnessed 25 incidents, the report reads. Province-3 is followed by Province-4 with the violations numbering 11. Similarly, Province-2 witnessed 8 violations, while Province-5 and 7 shared equal number of violations- 6 each. Province-1 and Karnali Pradesh (Province 6) also had equal three incidents of violations of press freedom. Mainly government employees, political party cadres and security staffs were involved in the press freedom violations. Most of the violations occurred while journalists were covering public interest issues, irregularities and corruption, political demonstration, elections and vote count, bribe and smuggling. The hassles between court and media remain prominent this year as well. Filing contempt of court case against the media house and journalist for the published news content had garnered opposing views from media fraternity that put judiciary in a controversy and also somehow affected the notion of press freedom. Despite transitional legal setup, there was no significant change in media related laws and policy; impunity against journalist remains the same, the report noted. It is observed that some provisions related to freedom of information and expression, right to privacy, right to communications, press and publication right, among others must be set within international and constitutional standards. Basically provisions of the sections restricting freedom of expression being based on National Security, Privacy, Defamation, Blasphemy, Obscenity and Hate speech need to be reviewed to enable environment for improved free expression. A draft bill has been consolidated to regulate the entire communications sector under a single umbrella act revoking three existing acts related to communications sectors namely, Press and Publications Act 2048, National Broadcasting Act 2048 and Working Journalist Act 2051 BS. The bill comprises several points which would make mass communication law impractical, unconstitutional and irrational therefore it is recommended to keep the provisions within constitutional standards and uphold democratic practice. The Electronic Transaction Act, introduced in 2008 with the objective of making the financial transaction fair, is frequently used as a major legal instrument to harass the media persons and citizens at large, restricting the practice of free expression in the Internet platform. Analyzing decade long press freedom trend post-transition, situation of press freedom violation seems improving until 2012. Year 2013 witnessed rise in anti-press incidents due to regional conflict (MadheshAandolan). The situation seems constant for next four years however 2017-18 witnessed sharp rise in incidents because of the ongoing election. This shows that political activities directly reciprocate the press freedom situation in the country. As newly elected government and parliament in federal, provincial and local level are heavily engaged on policy and law formulation this year, there is need to focus on policy watch reforms in order to ensure enabling legal environment for FoE, free press and access to information. In the new context, demand for better governance at all levels of government is on the rise. So, media need to be more investigative and pro-public. This may create more threat in future. Thus, safety of the journalist must be ensured and media themselves must be aware about the threat, the report recommends.